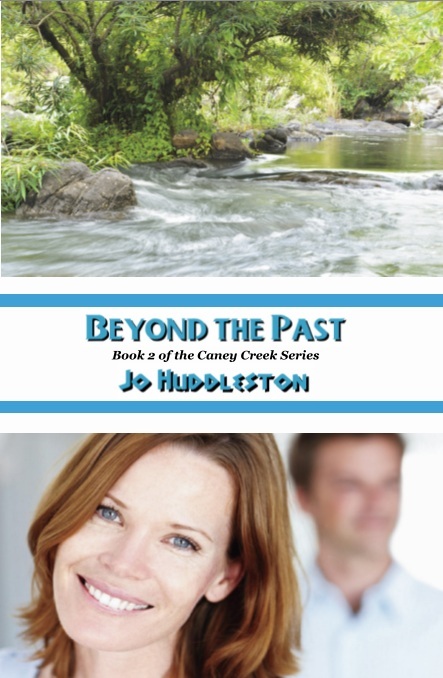 Beyond the Past, Book 2 in the Caney Creek Series. For the next few Mondays I’ll interview one of the characters and you can leave comments if you want. I think this might help you when you read my novel to know how these characters feel as they move through the story. If you leave a comment on this blog that is totally related to the interview I'll give you an extra entry in the next Thursday book drawing. Today I’m talking with Caroline who lives with her son in Knoxville,Tennessee. JO: Hello, Caroline. Do you live in Knoxville? CAROLINE: Yes, I do but I grew up in Newton. When I graduated high school, my parents sent me to Atlanta to attend Agnes Scott College. I didn’t like it down there. JO: How long did you attend Agnes Scott? JO: Why didn’t you attend Agnes Scott longer than one year? CAROLINE: That’s an awful twisted up story. When I came back to Newton after finishing one year at Agnes Scott, I had plans to return to school that fall. But I met the best looking, sweetest boy ever. He didn’t have a car but I did. I would drive to his rooming house and pick him up. I drove him everywhere. He was shy at first. JO: Why was he shy? CAROLINE: Jimmy, that’s his name, grew up in the country on a small farm. He hadn’t been anywhere until he came to Newton and started working at my daddy’s mill. That’s where I met him—at the mill. I surprised myself the way I took on over him. He’d blush a lot when I touched him. JO: Did he get over being shy with you? CAROLINE: Yes, he did and we got along so well. JO: Even though you say you got along well, you sound sad. CAROLINE: Yes, I’m very sad. You see, we were intimate one time. One time that summer. When I came home from school for Christmas, I tried to tell him I was pregnant, but I didn’t get the chance. Christmas morning I was sick to my stomach and excused myself from the breakfast table. Mother followed me upstairs and I told her I was pregnant. Well, you would have thought I’d committed murder, they carried on so. They sent me away to my daddy’s sister’s in Knoxville. They told me to have my baby, give it up for adoption, or not come back home. When I saw my baby boy I could not give him away. I stayed with my great aunt until she died and willed her home to me and my son. I wasn’t able to get word to Jimmy what was going on. JO: What did your parents have to say about that? CAROLINE: Oh, by then my parents had disowned me and told me never return to Newton. When they told me to never use my last name for the baby, my aunt legally changed my last name to hers. So my son and I became James and Caroline Hensen. JO: How old is your son? CAROLINE: He’s twenty and attending the University of Tennessee. He met a girl and brought her home for me to meet. When I found she was from Newton, I put that and some more clues together to be almost certain she was Jimmy’s daughter. Through our children, Jimmy and I met again after twenty years. Our children were half brother and sister. JO: How were you able to work that out? CAROLINE: We explained to them how our past refused them a romantic relationship. We’ve visited with all of us in Newton and also here in Knoxville. Jimmy says we need to get together for our children’s sake. Both the children want us to get married and be a “real” family. I agree. But Jimmy’s little sister is in trouble in Atlanta and his best friend’s son is in trouble with the law in Newton. Jimmy thinks he can fix everybody’s problems. Every time I talk to him about marriage, he stalls for time—after his sister’s trial, after his friend’s boy gets straightened out, and of course he has to have time to run his mill. I tell him he’s thinking our situation to death. JO: Are you a patient woman? CAROLINE: As I’ve matured I’ve become a more patient person. But Jimmy is trying my patience to the breaking point. I’ve waited twenty years to have Jimmy back in my life. I just hope he doesn’t wait too long. The winner of last Thursday's blog post for a copy of America by Jo Huddleston is Katie. I'll email you to get your mailing address and get the book out to you. Thanks all for commenting. Watch for more book giveaways. Sometimes we can put off our happiness by not accepting the gifts we are given. Kay, so true! Thanks for commenting. You'll get an extra entry when you comment on this Thursday's blog.